In September 2018, this large-scale cast-iron outdoor sculpture was damaged while on view in Scranton, PA. 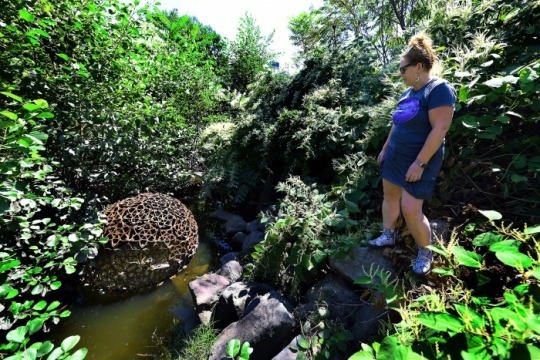 The piece, which had been temporarily installed along the Lackawanna River Heritage Trail as part of the International Conference on Contemporary Cast Iron Art, was ripped from its base and pushed down a hill into a water-filled ditch. It was bent and cracked in several pieces, and was likely damaged beyond repair.